Antipsychotic drugs have revolutionised the management of major psychiatric disorders and the outcomes of those who suffer from them. They are, however, possessed of a range of adverse effects, amongst the most frequent and distressing of which are those resulting in disturbance of voluntary motor function. 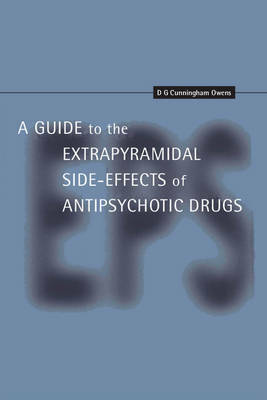 Extrapyramidal side effects - or E.P.S. - are still poorly recognised and not infrequently misattributed. Despite a vast research literature, there have been few attempts to bring together both the descriptive clinical elements of these disorders and major research conclusions pertinent to routine practice. This very readable and well illustrated 1999 book seeks to rectify this in the hope of increasing clinicians' awareness of the issues and acknowledgement of their impact. This is a task made more rather than less urgent with the emergence of drugs of lower liability but which may promote subtler abnormality than standard compounds.